Posted on 12/18/2017 by Mico Yuk. 0 Comments. KPI overload. Most enterprises suffer from it, but very few know how to overcome it. While some BI analysts recommend that a single report or dashboard should have no more than fourteen KPIs, most managers struggle to keep their KPI count below fifty. It's no wonder that business intelligence projects are often perceived as having little or no business value. Not only are most managers today tracking KPIs that provide little insight, but most are also measuring the wrong KPIs (we'll cover this issue in a separate blog post). After teaching thousands of students around the world how to use the BI Dashboard Formula methodology to manage their KPIs, below are five key areas that you should focus on to determine if it's time to purge your useless KPIs! The first step in validating the value of any KPI, is to re-visit the 'why'. Why did we choose to track this KPI? Once this is done, you want to set a quantifiable goal with a set deadline. This draws a clear picture of what success looks like. An example of a good KPI goal would be: We plan to increase Sales by 20%/$200MIL by the end of the year. Unless you have a clear understanding of the business impact of achieving or missing your KPI goal, it's impossible to gain any real value from your KPIs. The real reason why a KPI was derived in the first place, usually gets lost throughout the requirement gathering process. That's why in our BI Dashboard Formula methodology, we teach companies how to validate the 'why', ensure their KPIs are visible to all users, and proactively review them every 30-90 days to track progress. If you're having trouble with establishing the 'why', here's a hint. It's not important enough, purge it! With a clear goal, the next step is to identify the 'what'? What does this KPI mean? While this may seem simple, it's incredible how hard it is to get end users to agree on the single definition of a given KPI. When overlooked, this one factor can tank user adoption and force users to create new reports in silos. Our recommendation when defining your KPIs is to use the K.I.S.S. method. Keep it Simple Superstar! While it may be tempting to overcomplicate this process, Steve Jobs said it best. Once you've established a single, clear KPI definition, be sure to make it visible on the report or dashboard where it will be used. The only thing worse than not having a clear KPI definition is having each user assume their own. If you are having trouble with this step, it's a good sign that your KPI is too complicated. Either revisit step #1 or purge it! Once a clear goal and definition has been established, you'll want to define the 'where'? Where is the data for this KPI being sourced? A lack of reliable and visible data sources is the primary cause of confusion and distrust of business intelligence reports and dashboards amongst users. Similar to the 'why', we recommend 100% transparency of the data sources on all of your business intelligence applications. We also recommend a continuous effort to keep data hygiene a priority. The worst thing to have a user find is incorrect KPI data! Good luck on regaining full trust. As with all other steps, if you can't use sources with good, reliable data, it may be time to purge this KPI! If this KPI is tracking positively, what action do you want your team to take? If this KPI is tracking negatively, what action do you want your team to take? Managers cannot assume that by using common KPI names such as 'Sales' or 'Customer Service Calls', their team will automatically understand what to do with the KPI. To fix this, here is an example of how to modify your KPI name to instantly add clarity and value. Instead of naming your KPI 'Customer Service Calls', if the goal is to reduce the number of calls, how about renaming the KPI to 'Decrease Customer Service Calls'. This new KPI name makes the goal crystal clear. 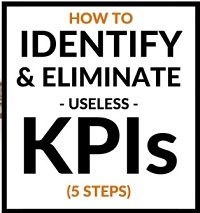 If you are finding it hard to add an actionable adjective to the KPI name, either start from step #1 or purge it! This final KPI checkpoint is one of our favorites. We've found that 99% of users associate their inability to visualize a KPI, to their lack of know-how when it comes to choosing the right chart. Here is a reality check. If you struggled through steps #1-4, it's virtually impossible to determine the best way to visualize your KPI. That is why, in the BI Dashboard Formula, we teach how to focus on getting the right KPIs and avoid visualizing first. This misstep is the number one reason we've seen data visualizations fail. It's usually not the visual, but the KPI to blame. If you are having trouble visualizing your KPIs, it's either because it lacks a clear goal or definition and/or has no action associated with it. We recommend starting from the top of this list. If that does not help, purge it! I'd love to hear from you? How many KPIs were you able to purge by following these steps? 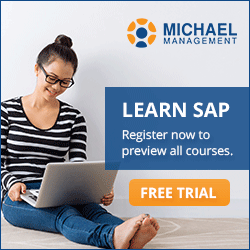 Mico Yuk is well known in the Business Intelligence ecosystem as a community leader, BI influencer and the founder of the highly rated BI Coaching Series, the BI Dashboard Formula methodology (aka BIDF). A computer engineer by degree, she has been designing and implementing enterprise dashboards for major corporate clients since 2006 and is considered to be one of the top data visualization experts in the world.